40 squares puzzle with hidden cat. 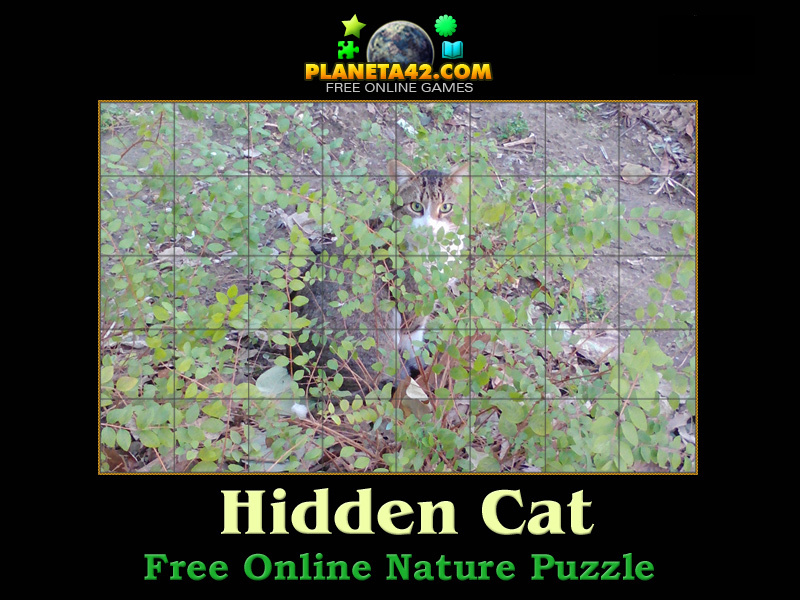 "Hidden Cat Puzzle" is a free online mosaic puzzle with a picture of funny cat hiding behind the bushes. It's regular European wild cat. The game will run in most web browsers on average desktop computers, laptops and tablets. This is an exciting way to find out a Hidden Cat. Flash mosaic game. Labels: Nature Puzzles , Games with Hidden Cats , Puzzle Games , Flash Games , Hidden Cats Games , Free Online Games.